The U.S. 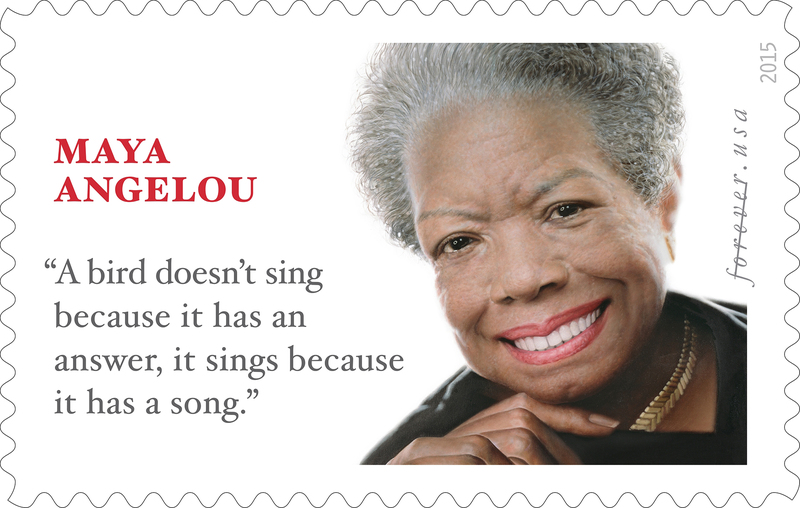 Postal Service is issuing a new limited edition "Forever" stamp honoring Maya Angelou with a quote attributed to her: "A bird doesn't sing because it has an answer, it sings because it has a song." But there is one small problem: The quote actually originated not with the late poet and civil rights champion but with a children' book author. "Yes, that's my quote," author Joan Walsh Anglund told the Washington Post on Monday night. According to the Post, the quote is taken from Anglund's 1967 book of poems "A Cup of Sun." The only difference is the pronouns are changed from "he" in Anglund's poem to "it" on the stamp. Postal Service spokesman Mark Saunders told the Post that he was unaware of the Anglund quote, pointing out that "numerous references" attributed the quote to Angelou. Indeed, President Obama attributed the same quote to Angelou during the presentation of the 2013 National Medal of Arts and National Humanities Medal. "The Postal Service used her widely recognized quote to help build an immediate connection between her image and her 1969 nationally recognized autobiography, 'I Know Why the Caged Bird Sings,'" Saunders said in a statement. Students recite Maya Angelou's masterpiece "Caged Bird"
After being informed of the quote's origins, Saunders told the Post that the Postal Service "would have used one of [Angelou's] many other works. . . . The sentence held great meaning for her and she is publicly identified with its popularity." Angelou rose from poverty, segregation and violence to become a force on stage, screen and the printed page. She died last May at her Winston-Salem, North Carolina, home at 86. The postal service says Ethel Kessler of Bethesda, Maryland, designed the stamp based on Rossin's portrait. Angelou was a longtime professor of American studies at Wake Forest University.